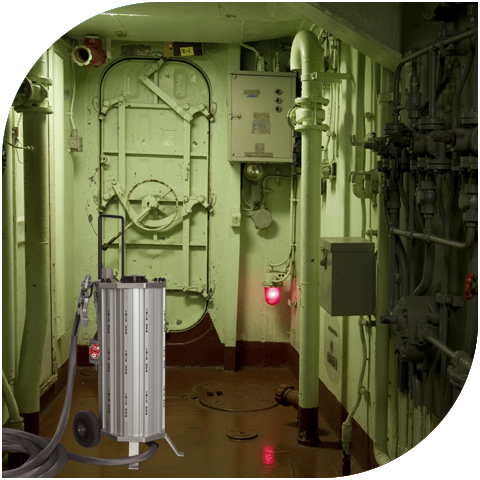 IBIX® portable blasting systems are indispensable for marine industry professionals specializing in off-shore maintenance, extending the life of marine vessels while removing contaminants and tough marine coatings from marine platforms, jack up oil rigs, industrial, military and commercial ships, carriers, passenger ferries and tankers. IBIX systems are perfectly suited for decontamination and cleaning, removal of grease, oil residue, paint, carbon deposits and glue from machinery and equipment. IBIX systems deliver a precise, consistent air and media flow for a smooth surface finish every time. Minimal dusting improves the health and safety of the operator and the environment.